It includes the following municipalities: Valencia de Alcántara, Membrío, Salorino, Santiago de Alcántara, Cedillo, Herreruela, Herrera de Alcántara, Carbajo and San Vicente de Alcántara. 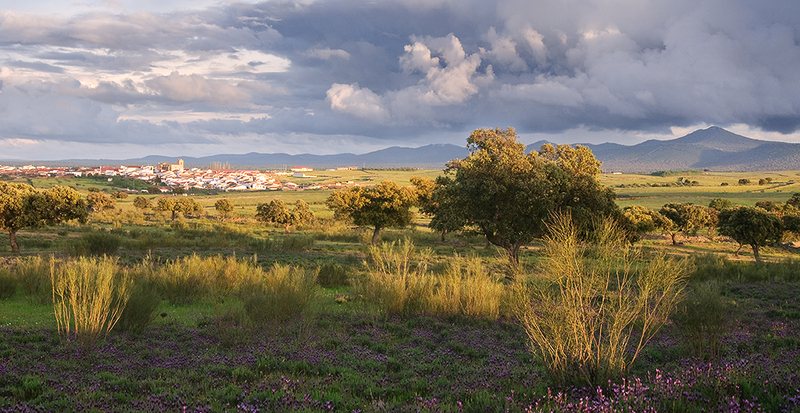 It takes in the west of the central strip of Extremadura, between Portugal and the provinces of Cáceres and Badajoz. Grassland is by far the most common habitat, a landscape transformed by man for millennia. It is home to an extraordinary range of species in danger of extinction such as the Spanish Imperial eagle, the black vulture, the Iberian lynx, the bobcat, the Iberian wolf, the golden eagle, short-toed eagle and the kite. The largest and best preserved group of dolmens in Western Europe, declared of cultural interest in the category Megalithic Complex is found here. In addition, it also has several national landmarks like the Church of Rocamadour, and the Gothic Quarter, both in Valencia de Alcántara, and a large number of churches and hermitages of peculiar architecture. The highlight here is definitely the natural environment, especially the Tagus International Park and Sierra de San Pedro. Each place that is part of the Community has its own festivals and traditions such as carnivals, pilgrimages, Holy Week processions, etc. Prominent among them is Corpus Christi in San Vicente de Alcántara and the Pilgrimage of San Isidro in Valencia de Alcántara, both declared of Regional Tourist Interest, the Medieval Festival Boda Regia also from Valencia or the Mascarrá, held in various towns. Many are the products and dishes that can be found in the area, Olive oil, cheeses, honey, sausages, el buche, a hearty sausage stew, tripe dishes, pancakes, fritters, Easter buns and almond biscuits. In such a large area you can find many types of accommodation and eating options, just check their websites. The Tagus International Park has many signposted paths for hiking, mountain biking, etc. 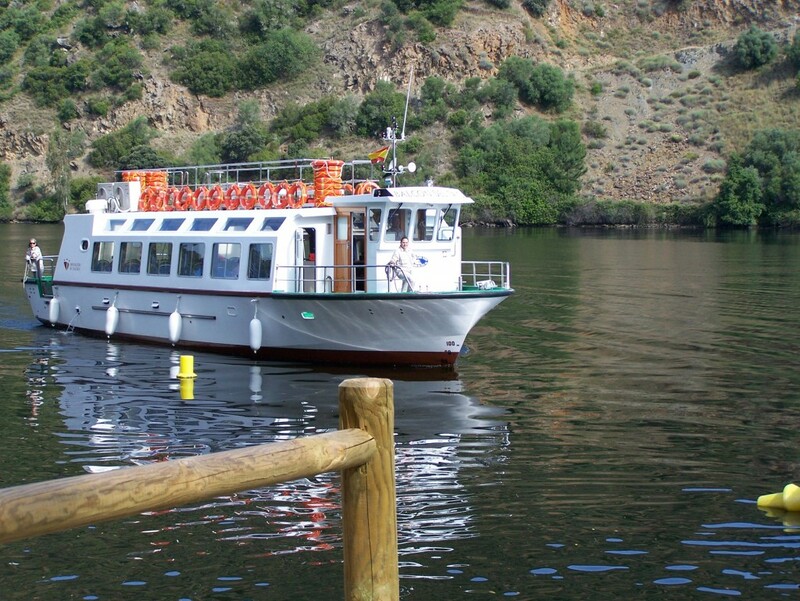 and the boat Balcón del Tajo does trips on the River Tagus. Sources: Information extracted from www.mancomunidadsierrasanpedro.com, http://taejo.eu, www.barcodeltajo.com and Wikipedia.